Anyone for a game of boules? 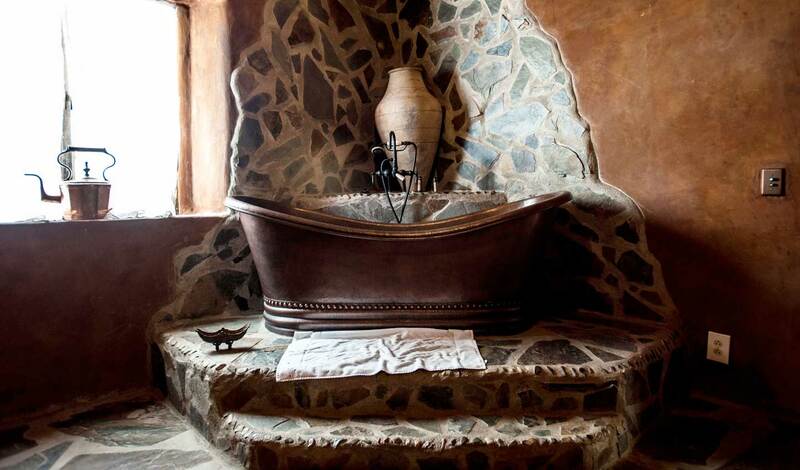 One of our favourite boutique desert retreats is most certainly Korakia Pensione. Their 28 intimate suites and villas carry a striking exotic charm that is unmistakable and will instantly put you at ease. White walls and rustic furniture which is scattered around the property leads you to believe you could walk out the front of the Inn and be greeted by a Marrakech souk. Indulge in the outdoor spa or recline on a day bed as you relax in the blissful sunlight, or perhaps sign up for a meditation class – the choice is yours. Resting at the base of Mt. San Jacinto you are in the ever-so secluded outskirts of the cities high-end suburbs. And what could be better? How about your airport transfer from Palm Springs International will take a mere five minutes. And in this setting, it’ll be like stepping into a different world as you go from the hustle and bustle of Cali to calm Moroccan chic. Whitewashed walls, stone floors and hand carved wooden furniture decorate your new home, and immediately creates that exotic feel. Crisp linen is laid out daily and with a breakfast prepared for you on your private patio every morning – it’s how life should be. And with each room taking on a theme (Mykonos, Morocco or Sahara), there’s pure excitement to see which one you are greeted with. Our favourite features are the stone sunken bath to rest your bones in after a long day of Cali heat, and after, cosy up in front of your outdoor fireplace in your fluffy robe. As soon as you arrive you can feel the sense of relaxation take over. 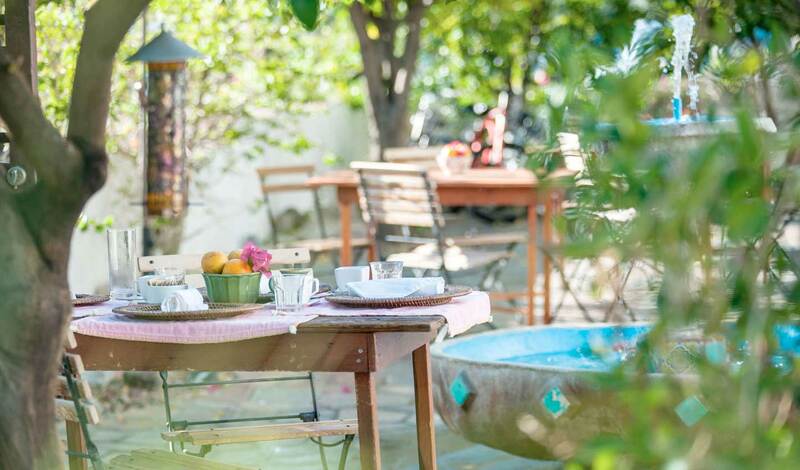 Korakia Pensione has a real air of intimacy about it – it’s the ideal refuge. Take some time out on the Yoga platforms before reclining on your personal sundeck, take a dip in the pool and after sipping back some homemade ice tea.